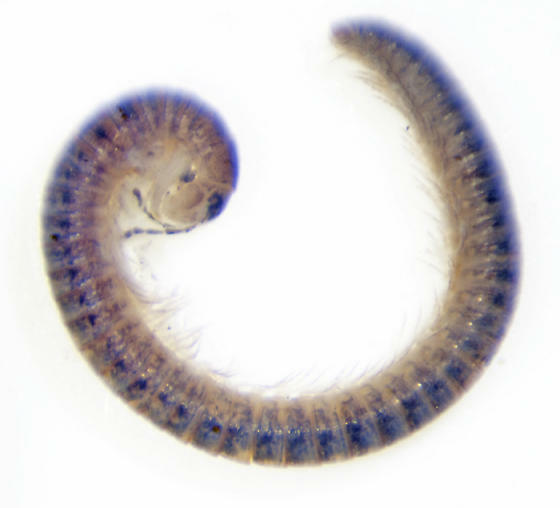 This millipede was one of many found in the stomach contents of a cane toad. Looks like a Parajulidae, but I can't give you a better ID than that from a photo, unfortunately. Derek. I am just happy to know the family. I apologize that my photograph wasn't better to help you with a further ID. I still have the specimen. Is there some particular feature of the individual that would help in its identification? For the Parajulidae, they can be easily separated from the Julidae by looking at the striations on the rings: Julidae will have strong striations all around the ring, while the Parajulidae only have striations below the level of the ozopore (generally indicated by dark dots down the side of the body). To give a genus or species ID, a male specimen is needed in most cases, as it's the sexual structures (gonopods) that allow a species ID with these. So if you find a male Parajulid (they will have very large front legs), I'd be happy to help you identify it.